The Busy Bee Weaving Working Day was quite successful. Many new projects are ready for weaving. 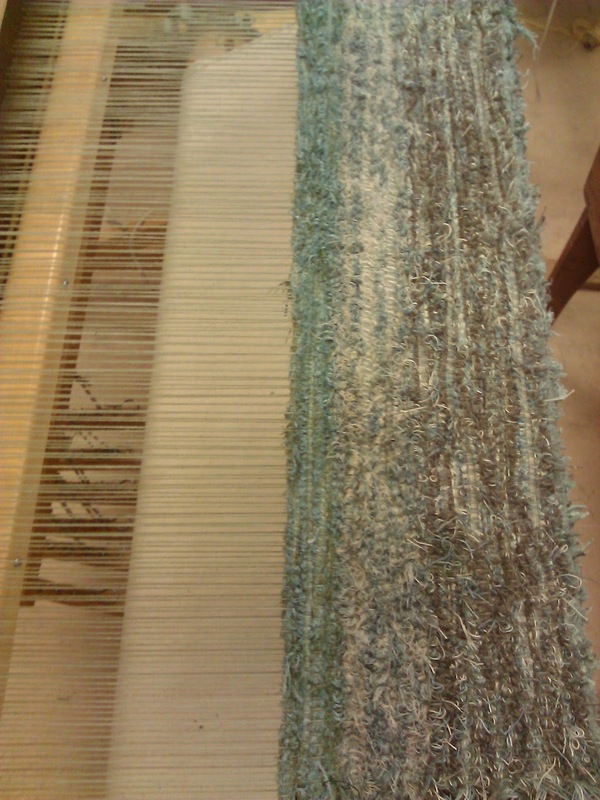 Once is the sage green rag rug warp. 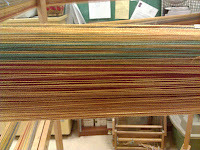 One weaver began to weave this weekend and it is looking great. 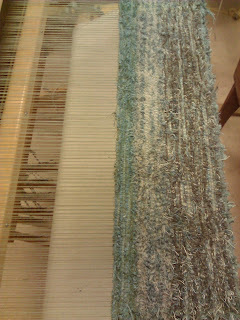 A new warp was started for the rep weave. It has some bright and rich colours. 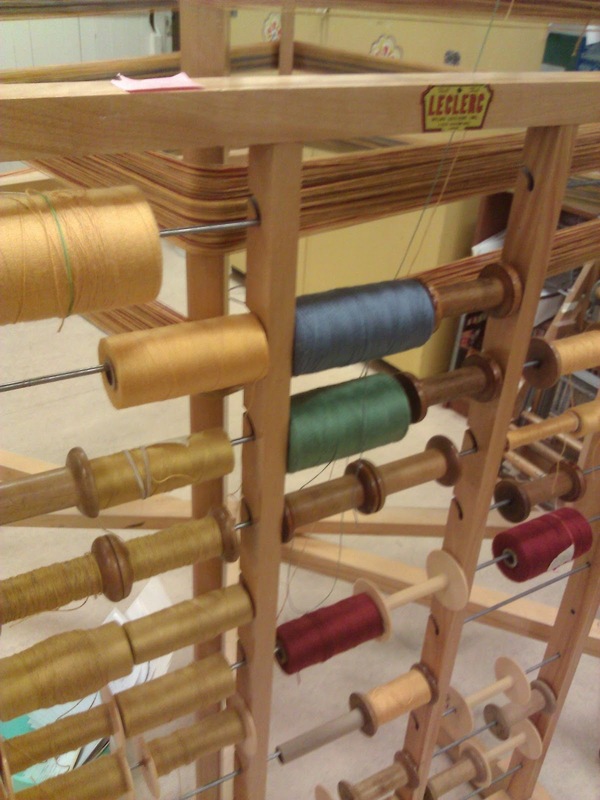 The Lethbridge Handicraft Guild promotes weaving through educational and collaborative opportunities. The guild operates as a cooperative and is located at Casa. The guild also offers a mentorship program for anyone wishing to explore this craft. Monthly Meetings - Third Tuesday of every month, beginning at 7pm, excluding July, August and December. PUBLIC WELCOME! Our room is on the top floor of Casa, ask the front desk if you are unable to find us. Want to learn how to weave? Learn how from the Lethbridge Handicraft Guild of Weavers! 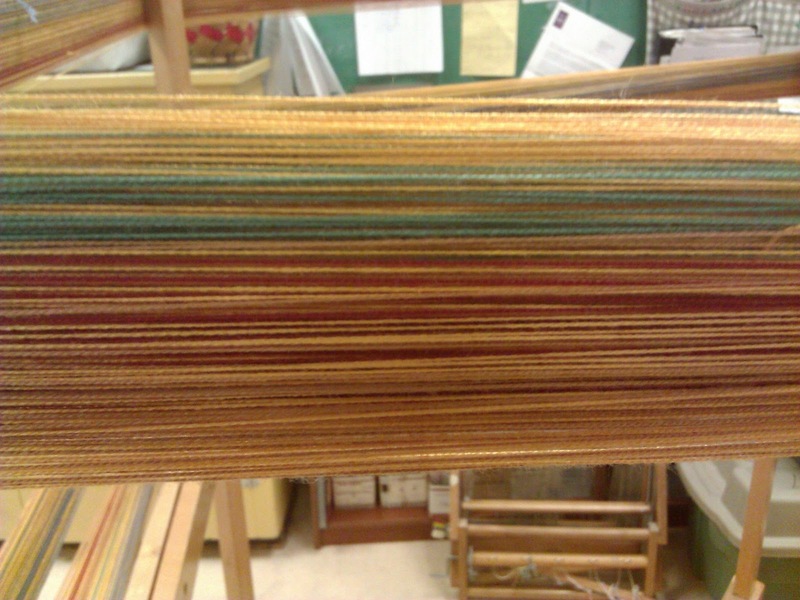 Taste of Weaving is an introductory course with hands on learning. 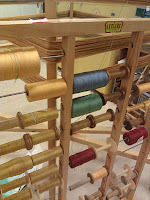 Students practice the concepts on our looms and will take home their weaving samples at the end of the course. Copyright 2011 - Lethbridge Handicraft Guild. Simple theme. Powered by Blogger.